We have defined the core expectations for every Bonner Program on a four-year developmental model. The Bonner Program has gone through a series of phases in its 25+ year history since the pilot year at Berea College in 1990-91. If you have a commitment to changing the world, you should apply to become a Bonner Scholar or Bonner Leader at one of 65 colleges and universities located in 24 states. The Bonner Foundation’s Network is made up of 65 participating colleges and universities that annually support more than 3,000 students in the four-year service-based scholarship program. Connect with other Bonner Alumni via Facebook, LinkedIn, Instagram, and Twitter, and join the a network of more than 15,000 Bonner alumni. 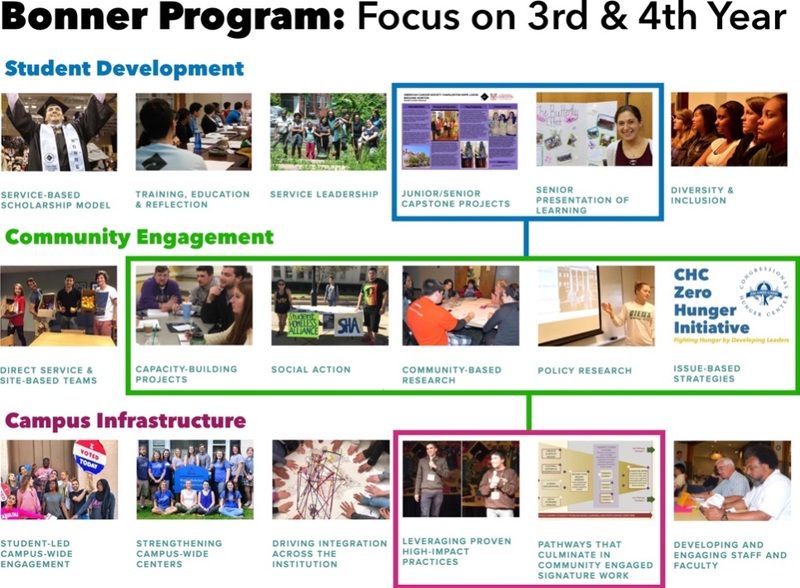 The Bonner Foundation has authored or contributed to a series of publications related to the Bonner Program model and campus-wide community engagement. 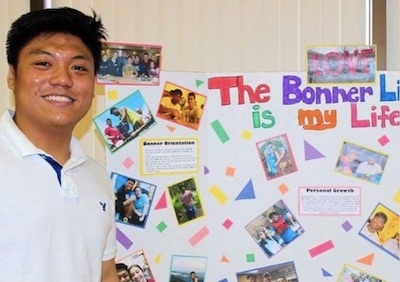 Read about our network of Bonner Students and Alums and what they are doing in the world.